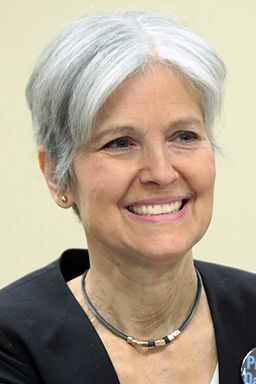 Jill Stein Gets It — Green Party presidential nominee Jill Stein blasted the Democratic Party in a tweet. “The Dems’ leaked emails reveal their mastery of corporate politics. Manipulate the process, the voters, the media, all to serve the elite,” she said. She gets it. It’s a shame the race wasn’t between her and Trump. We may vehemently disagree with her solutions but we fully respect that she understands the problem. Our Founders rebelled against feudalism. The corporate cronyism that is being imposed on our lives is different in name only. It’s no coincidence that Hillary Clinton is out-raising Trump 20 to 1 among one-percenters. These are types who want to supplant individual conscience and be lords of the world. Philly Green Party Events Loom — Bob Small of Delco Debates has let us know that Jill Stein’s CNN Town Hall airs live 9 p.m., Wednesday, Aug. 17. It gives one a chance to learn more about Jill Stein and her running mate Ajamu Baraka which will be broadcast live on CNN, CNN International, CNN en Espanol and online via CNNgo for questions. Better still, he says, come watch the Town Hall with other Greens, Stein supporters, and the Stein-curious, at Alma Mater, 7165 Germantown Ave., Philadelphia. Eat, drink and enjoy some great discussion! Bob also notes that the Green Party of Philadelphia (GPOP) Outreach Committee Meeting will meet 7 p.m., Aug. 18 at Vivek Ananthan’s, 635 N. 5th St., Philadelphia (ring doorbell). He said discussed will be ideas and plans to do neighborhood publicity and tabling on university campuses. He says that there will be a GPOP picnic/potluck, 7 p.m., Aug. 24 at Clark Park, 43rd and Baltimore Avenue, Philadelphia. Look for the tables and chairs. New Greens and other Jill Stein supporters will be welcomed and those interested will be given information. There will be pizza. Homegrown Stein t-shirts will be sold. Bob has sent us this link as to what the Greens are up against. And in fairness, Tom C has sent us this link regarding serious problems that can laid at the feet of Republican Party leaders.